A Permanent Partial Disability award is one given to a person (often an employee) in the event of an injury that has caused life-altering circumstance for the victim, making him/her incapable of returning back to the way of normal living like they had before the injury. Any staff member of a firm that suffers a life-changing injury should be entitled to this award provided the injury was sustained in the line of duty. To help compose your case and negotiate your compensation, you will need a resourceful attorney that is capable of delivering the case in your best interest. A good attorney would also be important in the case where your employers deny you of your benefits in this regard, at this point, the case would likely be taken to court to be settled by a judge (or referee) and the jury. 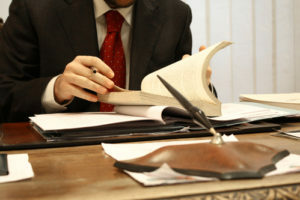 For all your legal needs here in Orange, CA allow us to be your voice and your advocate. At Rawa Law Group, we carry out detailed and thorough research of your case, we take our time to establish your profile and bring up an argument that would seat you favorably in the eyes of justice. Our services have proven through the years to be incredibly promising due to the consecutive wins we’ve had and copious settlements we have gathered for our clients. Let our topnotch workers’ compensation attorney in Orange help you receive a settlement as we’ve done for many other Orange claimants. Workers’ compensation is an insurance program set up by the federal government to protect employees hurt on the job. Every state administers its own workers’ compensation program to provide medical and disability benefits to injured and ill workers. 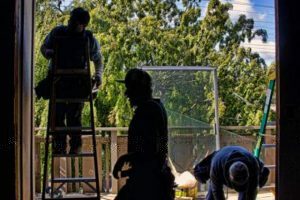 If you have been injured or become ill while on the job, you must need a workers comp attorney in orange county, CA & you may be eligible to hire the to file a claim for workers’ comp benefits. Your settlement will not cover your lost wages and medical bills. Your workers’ comp claim has been denied. You cannot return to your job. Your receive Social Security benefits. Your employer has retaliated against you for making a claim. You believe you have a third party injury claim against another driver, a manufacturer, or a contractor, for example. Is your employer putting you on limited duty, which is causing you more pain and aggravating your current injury? Do you feel as if the doctor that you’re being sent to is discounting your injuries or even hinting or insinuating that you’re faking your injury? Has your claim for benefits already been denied? Contact Rawa Law Group today to schedule a free consultation with our workers comp attorney in Orange County, CA to discuss your case and get assistance seeking fair compensation to help you recover from your injury. Reach us via the address below and let us discuss how best we can be of service.